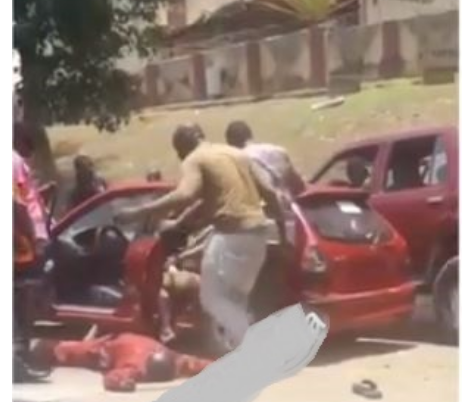 A clip has emerged online, showing the shocking moment a driver slumped to the ground publicly in Abuja to the amazement of observers. The heartbreaking incident happened at Zone 4, Abuja. Reports show that the driver was stopped by policemen and task force officers when the incident happened. He was reportedly manhandled and in the process collapsed. The current condition of the driver is not known. 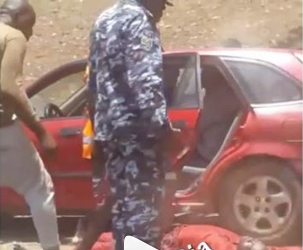 However, social media users have expressed their anger at the development, calling for the officers behind the incident to be brought to book.